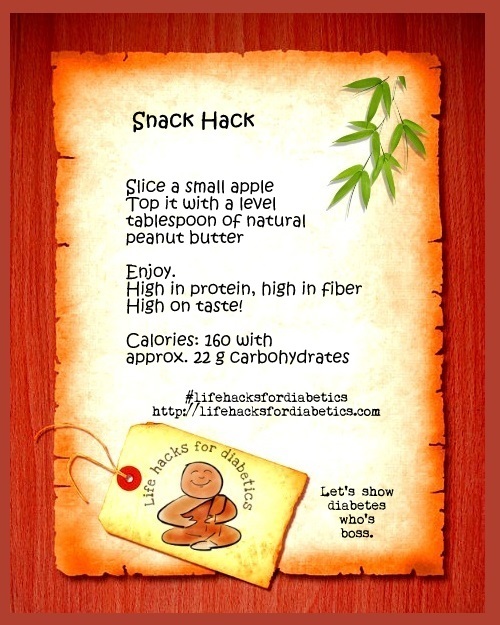 Snack times are toughest for diabetics. Here’s an easy healthy snack hack. I like to sandwich the peanut butter between slices of apple.